who can stand on one leg for eating, drinking water even sleeping. And you know what? You should be able to do the same… well maybe not sleeping. So let’s see how you balance your body by doing the flamingo. Standing on one leg with one knee at hip height, barefoot (preferably) on a hard floor. – Keep the position as long as you can and note your time score. So how did you do? Shaky? Comfortable? Let’s compare your results to the average, shall we? Note: From the moment you need to touch something around you, let’s face it you are losing your balance. Well if you do feel wobbly (make sure you have something soft around in case it is too tricky), you can imagine how your brain sees your body: a big blur! The connections are a bit (or a lot) lost. During the 1st part of the exercise, make sure you can see yourself in a mirror or even better have someone to take pictures of you front front, side and back. You will really be able to see if your back is straight, or one hip higher than the other one, if your shoulders are forwards. It will give you an actual view of what part is weak or not involved enough in your posture. The 2nd part of this exercise reveals how your body senses your balance without relying on your eyes. And yes, you have a team of agents spread in your body to make sure you are safe. 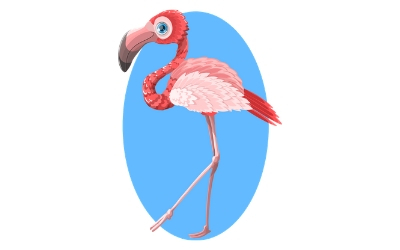 Let me know how you get on, flamingo.